Virco provides a full spectrum of color options on every product to fit any environment. Our standard array of colors is available across the board – soft and hard plastic, laminates, powder coat and chrome – and carry the shortest lead-time for projects that require quick solutions. When immediacy is not an issue, Virco offers an extended palette of colors with extensive choices and flexibility. This selection of additional colors may necessitate longer lead-times and require minimum quantities, but the choices are vast and cover a wide variety of options to customize your project. For truly custom colors, Virco has you covered. 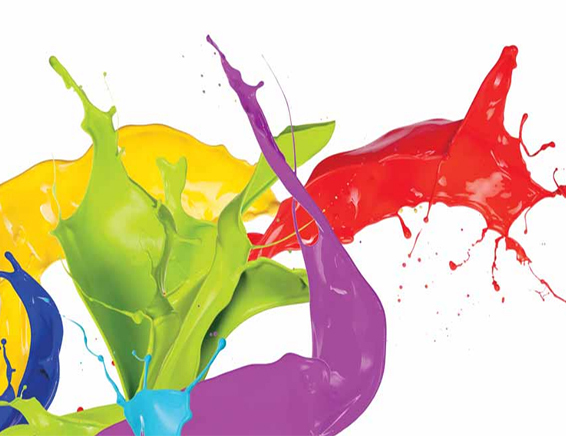 We have the resources in-house at our U.S. factories and contacts with every major supplier to satisfy your color-related needs. Soft & Hard Plastic: Give us a color chip & we can match it. Laminates: Tell us the pattern & we can source it. Powder Coat: Give us a color chip & we can match it. For more details, contact your Virco Representative. 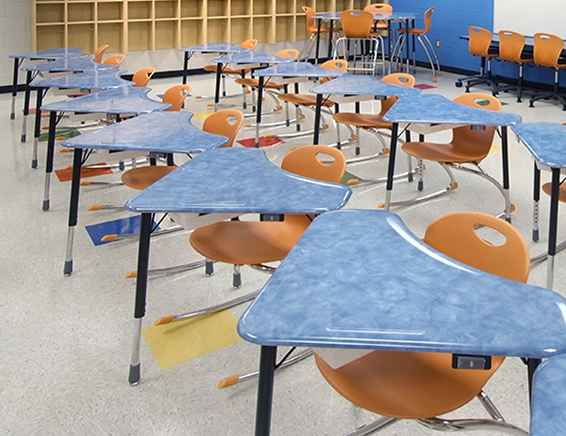 From school mascots and business logos on laminate surfaces to educational material and photographs on hard-plastic tops, any Virco table or desktop can be personalized with custom printed graphics. Our advanced printing and compression-molding technology allows us to take the graphics you provide and make them a permanent part of your furniture.